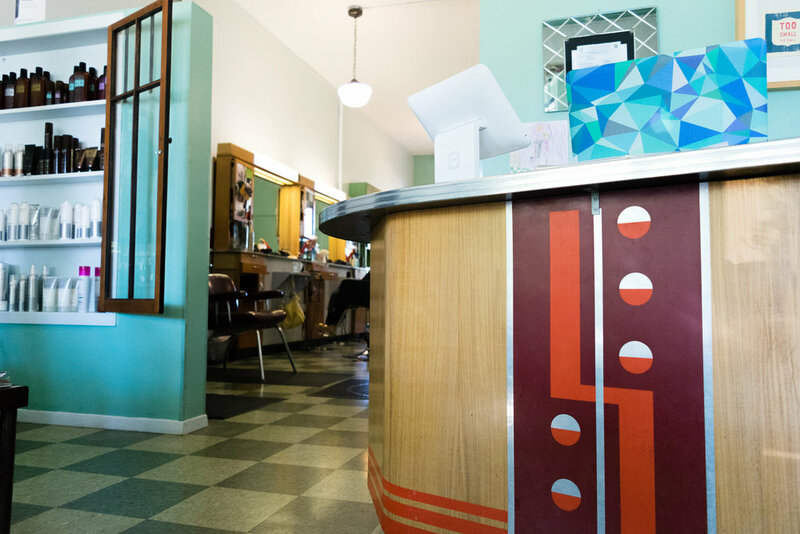 Located in the Kingsfield neighborhood South Minneapolis, Pixie Salon puts a main focus on you, the customer. Our staff is very approachable and will listen to your style ideas and execute them flawlessly. We guarantee a pleasant visit and always a good laugh. We enjoy what we do -- and it shows. So if you are looking for an uptight, mundane environment -- you’ve come to the wrong place. If you are in pursuit of a neighborhood salon with good times and good people, and where your true beauty is revealed -- look no further! You've found Pixie! Pixie Salon is a supporter of the arts. We currently don the works of Ute Bertog on our walls. You can find more information at www.utebertog.com.